I was inspired for this post by last weeks #bbloggers chat on Twitter; "Evolution of your Makeup Routine. It got me thinking, "How has my makeup evolved, and where did it all begin?". I was 15 when I first properly wore makeup for the first time. It was a friends birthday party and I had decided to wear makeup. I took a trip to Superdrug and bought a few makeup items from the GOSH range which included; Mascara, Pencil Eyeliner and Lip Gloss. I didn't actually apply my makeup that night, my Aunty did, it would be interesting to know how my makeup would have turned out if I had! I remember later on that night though, after I had got home from the party, realising that I didn't have anything to take my makeup off with so I just used a wet flannel! (awks). At that point in my teenage years, I didn't wear makeup on a regular basis, and I certainly didn't wear it to School. It was when I had turned 17 and I was at Sixth Form, that I had started wearing it on a more daily basis. Even though I had begun wearing makeup, it was very minimal, I would only apply Pencil Eyeliner on the bottom of my eyelids and Mascara. I felt at this time that was enough. Gradually over those months when I was 17 and before I turned 18, I increased the amount of Makeup items I owned. Firstly I purchased a Collection 2000 Liquid Eyeliner, which was thoroughly entertaining as I ended up looking like a Panda after I first applied it! I bought a 17 Concealer from Boots and began using that, I even used it as a Foundation sometimes (I don't know if I should have done that). Eventually, I had decided to take the plunge and begin using Foundation. I was slightly concerned about it, as I had a bad memory of one of my friends at school applying Foundation on me once and it being REALLY cakey. 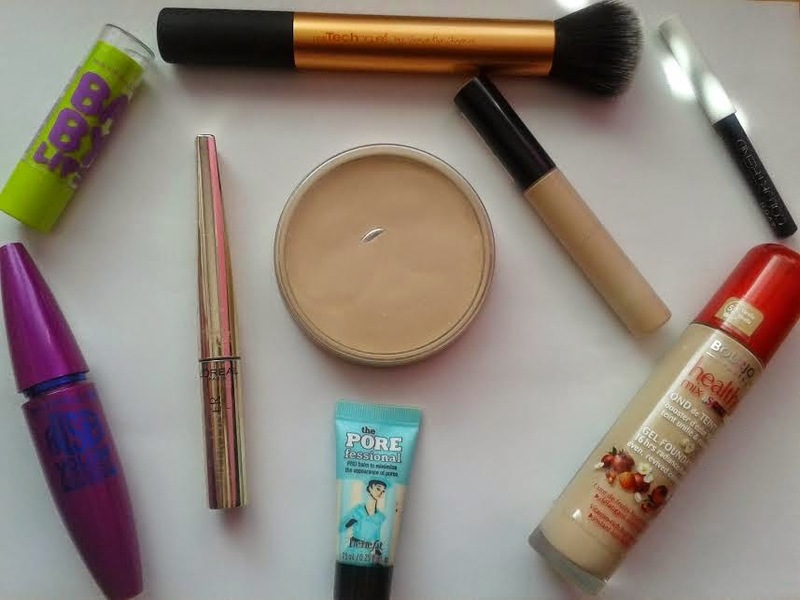 I was watching lots of Beauty Bloggers on Youtube at that time and one Foundation I had heard lots of good things about was the Bourjois Healthy Mix Serum. I went and purchased it and I was so glad I did, I could see the appeal, it was lightweight (definitely not cakey), and I actually liked the smell. Since I first purchased it, I have used other Foundations, but I have gone back to the Healthy Mix Serum, and am using it at the moment. I'm at the point where I'm happy with my makeup routine. It's basic and minimal. I apply Foundation, Concealer, Pressed Powder, Liquid Eyeliner and Mascara, and that's it. I went through a stage of applying Eye Shadow too, but decided that I would leave that for when I really make the effort with my makeup. In hindsight, I'm so glad I waited until I was 17 to wear makeup full time. It's important when you're young to enjoy yourself and not worry about how you look and other people's perceptions, and then if you want to, start wearing makeup, if you don't, it's fine!